Shrek Forever After 1hr. 33min. 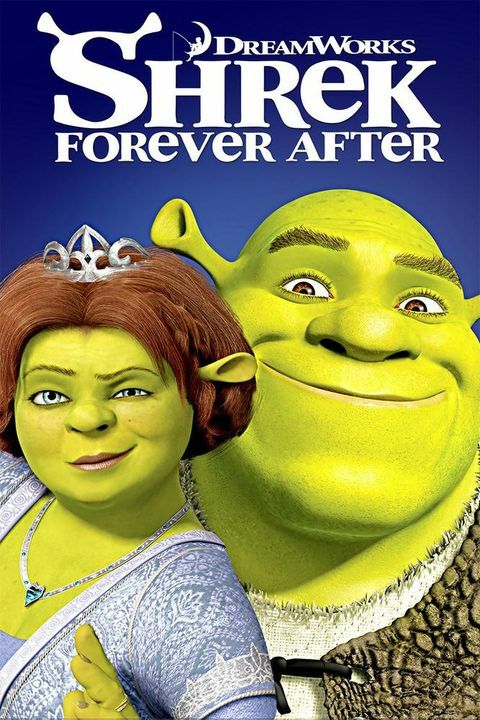 A bored and domesticated Shrek pacts with deal-maker Rumpelstiltskin to get back to feeling like a real ogre again, but when he's duped and sent to a twisted version of Far Far Awayâ€”where Rumpelstiltskin is king, ogres are hunted, and he and Fiona have never metâ€”he sets out to restore his world and reclaim his true love.